Cucumbers are extremely beneficial for overall health, especially during the summer since they are mostly made of water and important nutrients that are essential for the human body. The flesh of cucumbers is rich in vitamin A, vitamin C, and folic acid while the hard skin of cucumbers is rich in fiber and a range of minerals include magnesium, molybdenum, and potassium. Additionally, cucumber contains silica, a trace mineral that contributes greatly to strengthening our connective tissues. Cucumbers are known to heal many skin problems, under eye swelling and sunburn. Cucumbers also contain ascorbic and caffeic acids which prevent water loss, therefore cucumber is frequently applied topically to burns and dermatitis. Cucumbers are very sensitive to heat, so try to select the ones which are displayed in the refrigerated cases in the store. Look for firm cucumbers and check if the color is bright medium green to dark green. Avoid the yellow, puffy cucumbers that have sunken water-soaked areas or wrinkled tips. You will find less seeds in the thinner cucumbers. If you store the cucumbers in the refrigerator, they will retain their freshness for a longer time. If the entire cucumber is not used in one meal, then wrap the remainder tightly in plastic or place it in a closed container so that it does not get dried out. 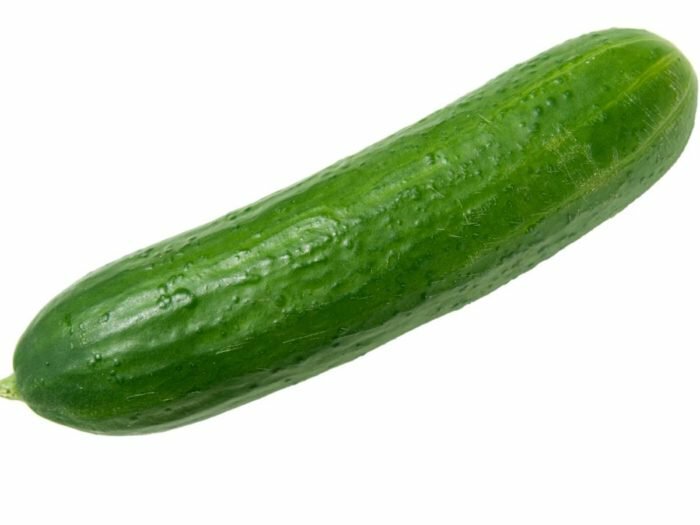 Try to eat cucumbers within one or two days of buying them, or else they will become limp, especially if kept for more than a week. Cucumbers can be cut into various shapes and sizes, and can be sliced, diced or cut into sticks. Cucumber seeds are edible and very nutritious, bur some people prefer not to eat them. You can cut the cucumber lengthwise and use the tip of a spoon to gently scoop the seeds accordingly. Cucumbers are commonly used in a number of recipes. You can use half-inch thick cucumber slices and serve them with chopped vegetable salads. Cut the cucumber into a diced shape, mix them with sugar snap peas, mint leaves and then pour rice wine vinaigrette into the mixture. You can also make an excellent purée with cucumbers, tomatoes, green peppers and onions. Finally, add salt and pepper for some extra flavor. Cucumbers similarly give a fresh taste to tuna fish or chicken salad preparations. Cucumbers can be eaten alone in its sliced form, or with a sprinkle of salt or pepper. No matter how you eat it, you are sure to get a whole lot of nutrition from this truly “cool” vegetable.